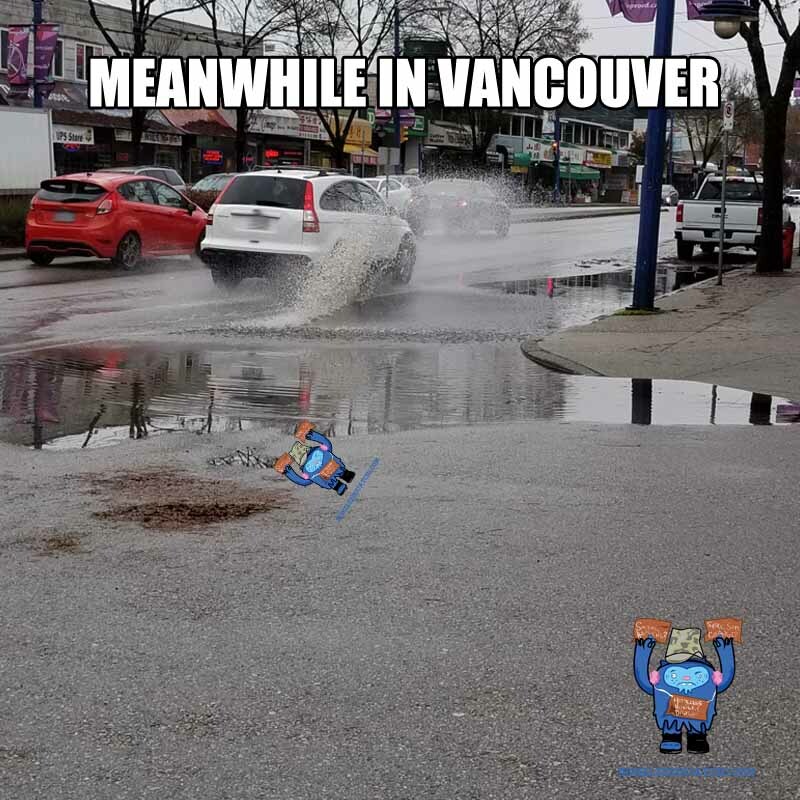 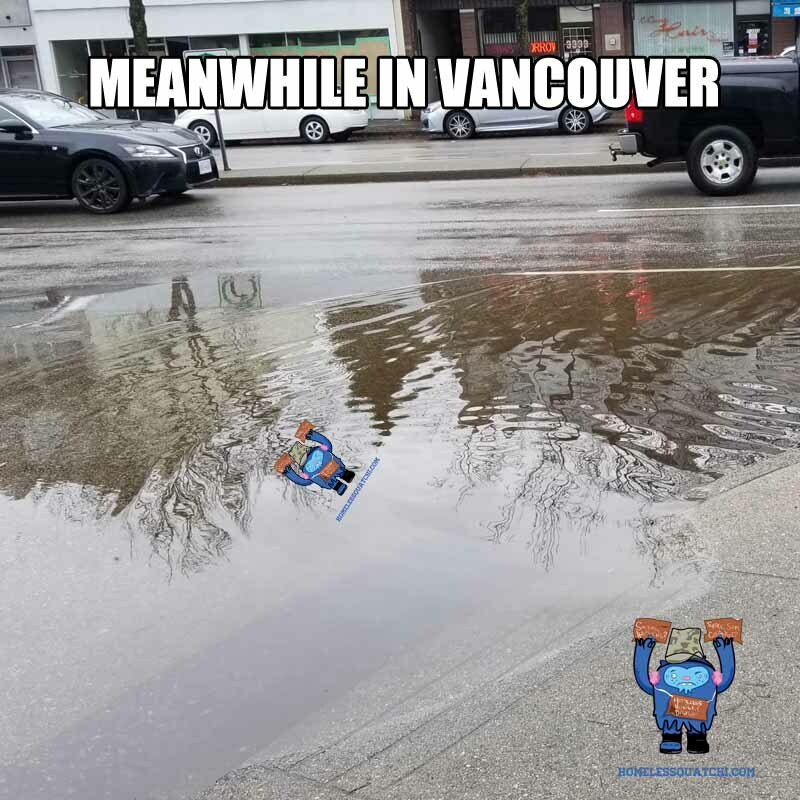 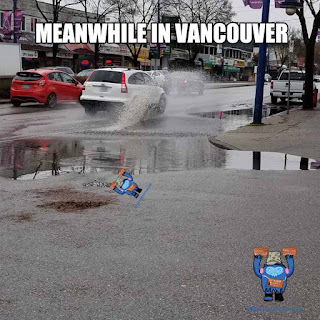 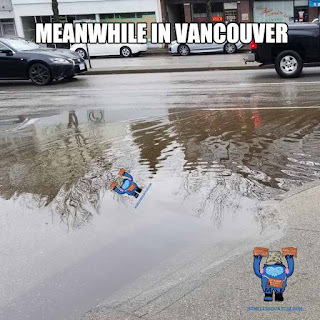 East Vancouver flooded. 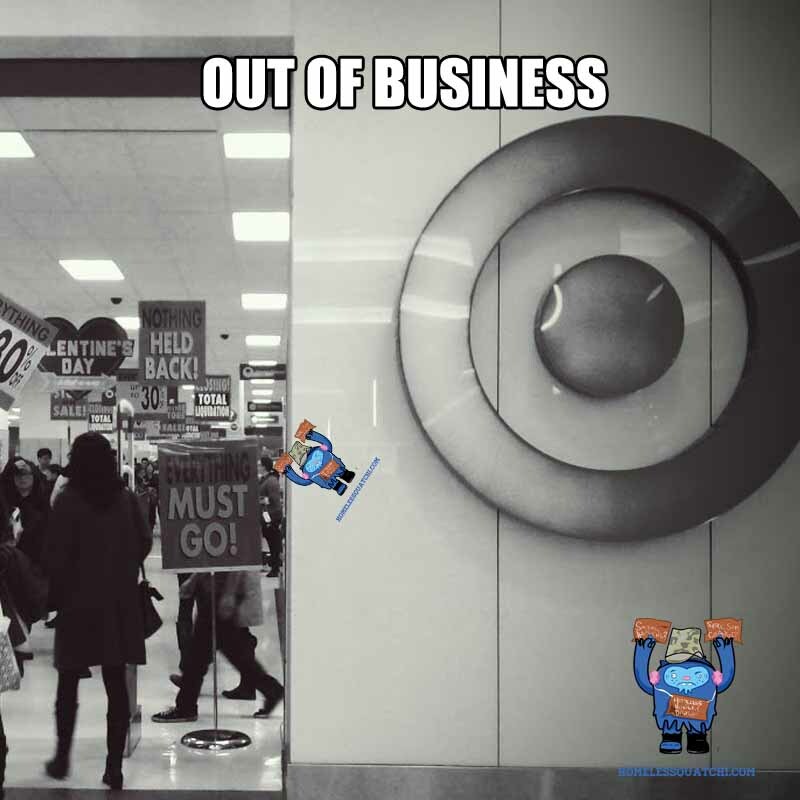 Halloween cancelled. 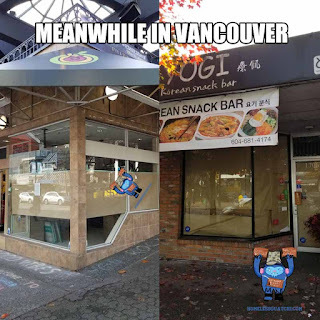 More Robson Street Casualties of High Rent Vancouver. 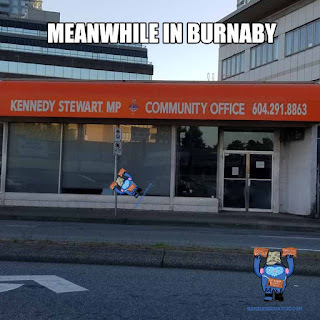 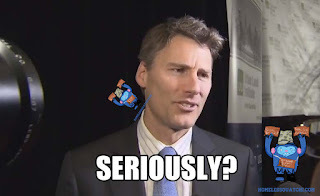 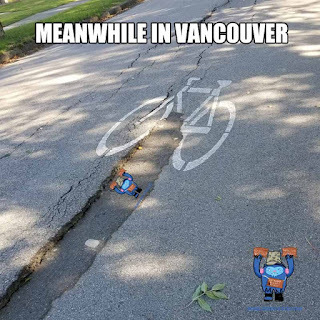 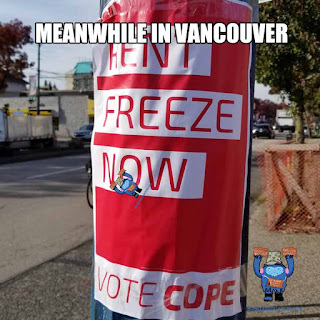 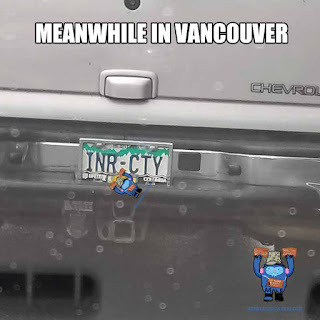 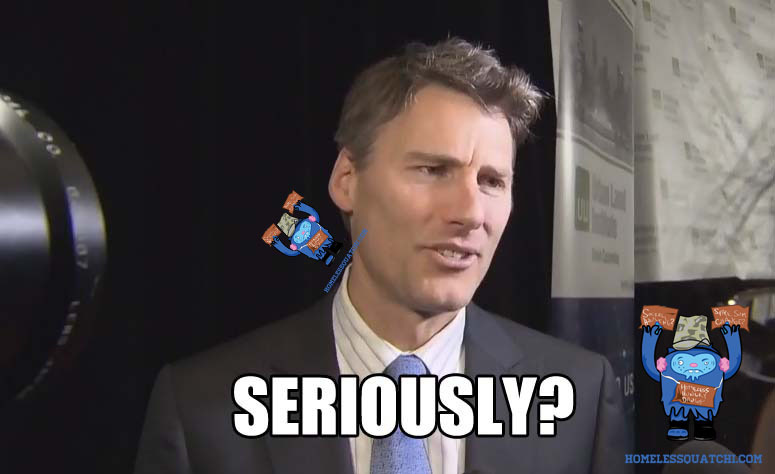 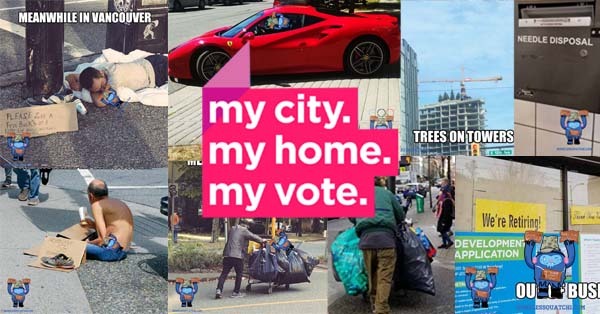 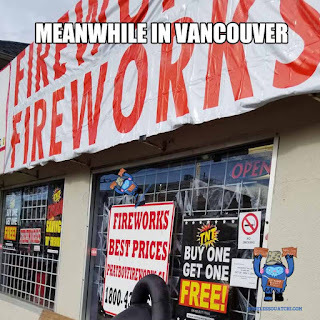 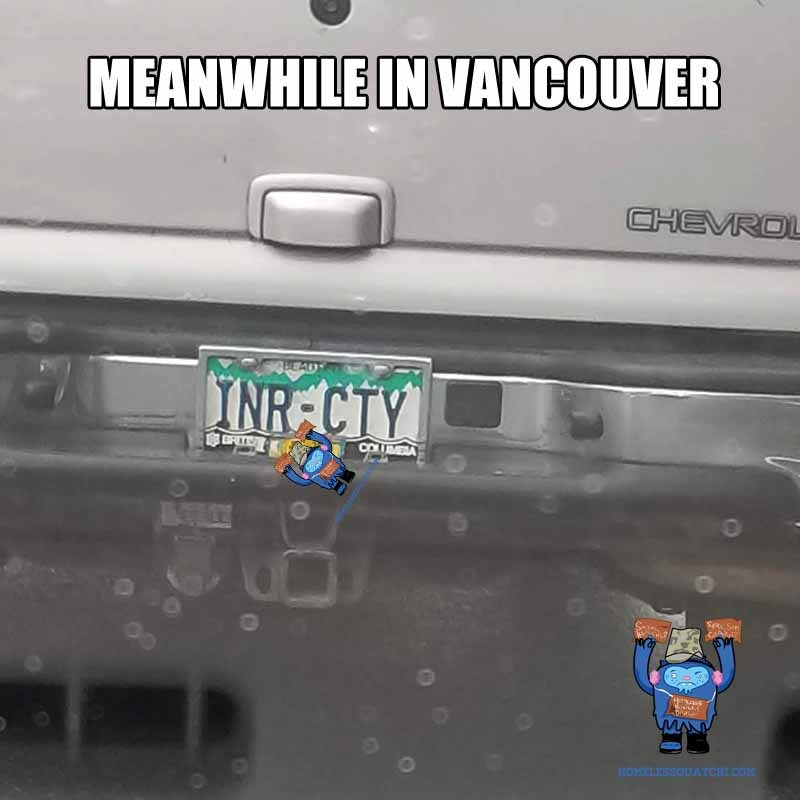 Fixed City of Vancouver Election poster. 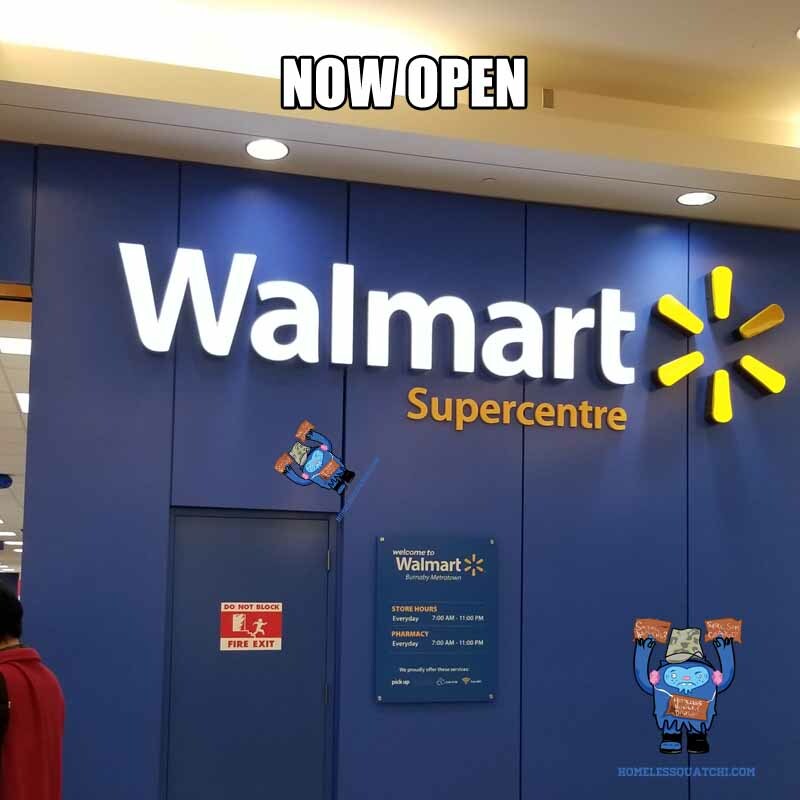 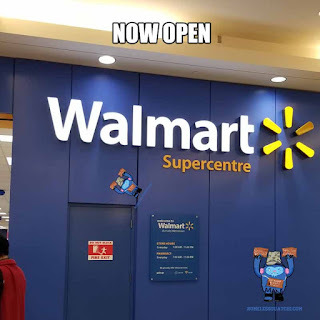 Now Open: Walmart Canada at Metrotown Burnaby.